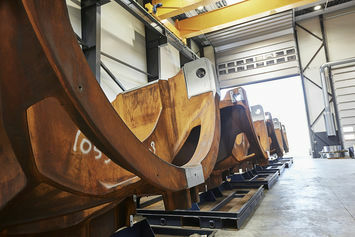 With over 15 years of experience in serial production of hubs, machine frames and bearing housings for the wind power industry, Nordmark is an experienced manufacturer of difficult prototypes, as well as a professionally skilled consultant in connection with the 3D machining process. Nordmark operates out of four modern production facilities in Denmark and in Cuxhaven, Germany, we provide milling solutions from one of the most experienced milling workshops in Denmark. Nordmark's core competencies are in CNC processing, CNC turning and CNC milling, we deliver quality products with short delivery times. All phases are carried out according to the highest quality standards. 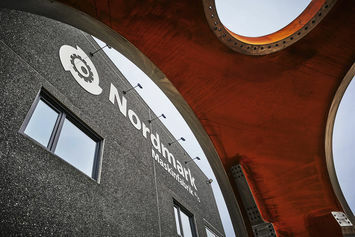 With over 30 CNC processing centers and many years of experience in CNC processing, Nordmark is flexible and capable of handling complex serial productions. Nordmark offers CNC processing, which is the production of machinable components using CNC machine tools, for example. CNC lathes and CNC milling machines for CNC turning and CNC milling, respectively. Machining in heavy industry is the term used for methods that remove materials from a piece of raw material with a machine tool. The machines are programmed to perform specific movements and revolutions, etc., thereby producing both large and small metal components with great precision and high quality. The automated production method also ensures efficient manufacturing with a minimal amount of time spent on readjustments and programming of new work processes. As a total supplier for heavy industry, innovation and the latest technology are essential parameters for maintaining competitiveness and ensuring high-quality work and delivery to customers. Nordmark is constantly investing in new machines, as well as developing the competencies of the company’s employees.